Nietzsche and Heidegger ,the old and great philosophers suggested that a different language or a changed relationship to language might somehow bring new and important insights.As Language is reffered as Subject,they had already talked about postmodernism.Conveying , It is language that speaks,not the author. 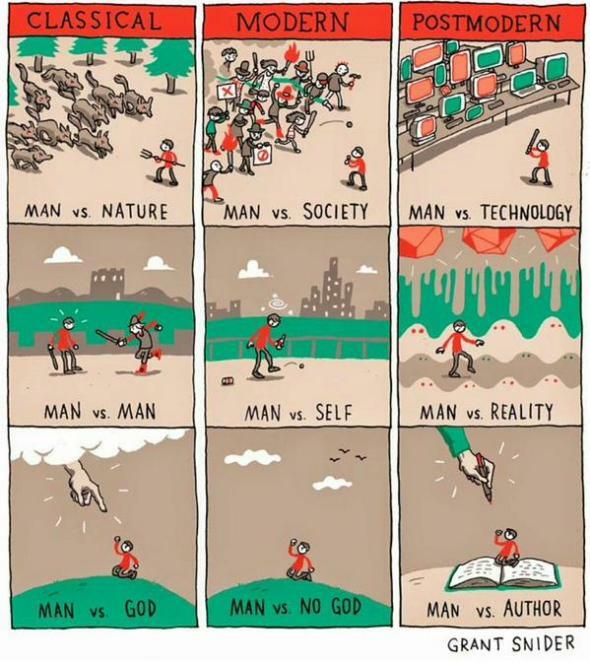 Subject matters beyond the time period. 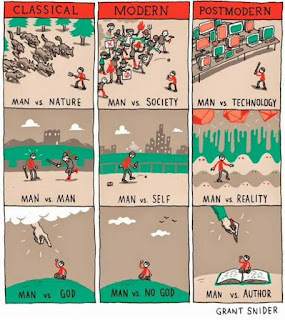 This also can understood through Postmodernism art and Postmodernism Literature and philoshophical Things.The Postmodernism Theory maybe Resulted as live cultural and environment.But These postmodernism Characteristics and Its Sociology are just an upgraded and understandable process of things and life. 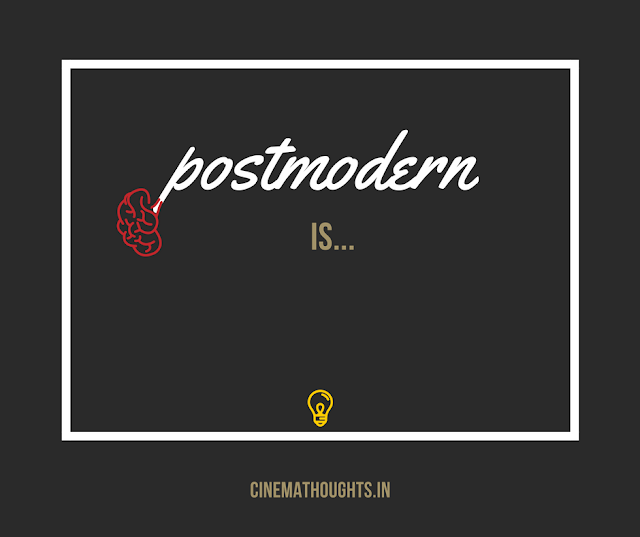 Modernism Believes its art and literature promises for providing a good Fullfilment and understanding,While Postmodernism Raises questions about Culture,Communication,Meaning and Understanding.At the end,postmodernism regards some High Cultural Change. Postmodernism is something that deals with current reality.As the world changes,Technology developing,Various Employment and New cultural and Behaviours. 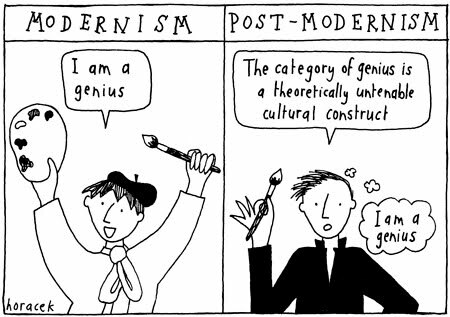 To understanding Postmodernism,We have to Consider the three terms of Modernism. *Post-Modernism suggests that Individually with various Culture,gender,religion,class,history is as the Ture and Reality at their Respective Perspective. Pre-Modernism deals with the very basic natural things.It accounts the possibility of god's existence and accept the world as it is.Even the kings and superior humn beings have influenced the slaveric behaviour according to their owners.Here the owners are God,Nature,Kings and Supersitions. Modernism behaves as a subjecive of human being.It Defines life in the term of Self Fulfilment and have no courage to explain about the human Nature,Reason,Spirituality. Postmodernism Made up to correct the imbalance of the Modernism to force the Individual to behave more a team rather than own purpose and pleasure. The term Reality Considers in this study have been Called to be Critical Realism.It Explains life as it is. That is Objective Reality. Although Postmodernism describes as same as the Critical Reality,It fails to achieve and understand it's real core in the real world.It questions,disbelieves, and got ideas to handle the Reality of the nature,but did stood in their own comfort zone (explains the modern behavior) ,which is opposable to Reality in turn Critical Reality.